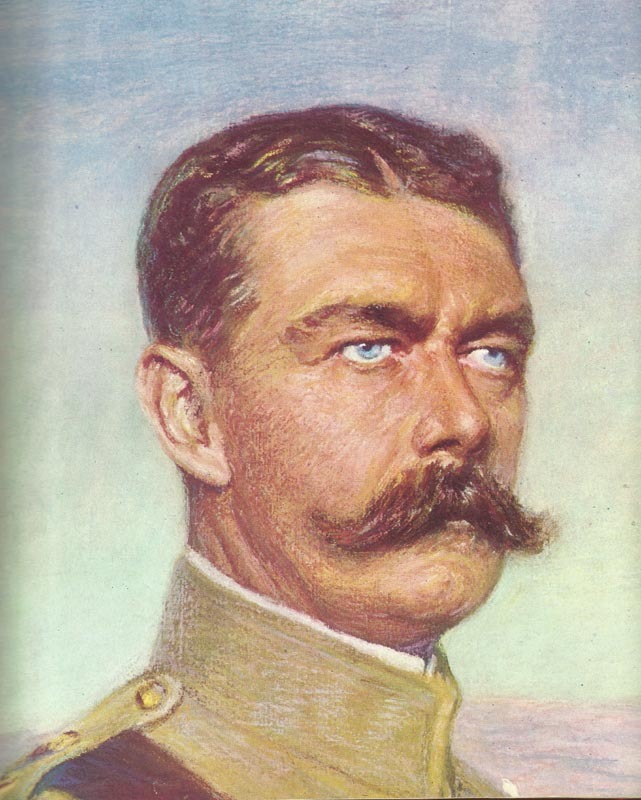 Field Marshal Lord Kitchener, the British Minister of War with exceptional organizational skills, determination and tenacity. Britain: Kitchener reviews war in House of Lords. Armenia: Yudenich replaces Bergmann as Russian field C-in-C.
Dardanelles: German Admiral Souchon believes Allies cannot achieve much against Dardanelles, Marmara or Constantinople without troops. Italy: Austrian Rome Ambassador begins talks on ceding Trentino to Italy.